New Weekly & Alpha: v0.73! We're pleased to present the latest weekly & alpha build, version 0.73! In fact, in much the same way that a Robert Frost poem might, this build diverges along two paths: one with additional features that is NOT compatible with old save files, and one without those additional features that IS compatible with old save files. These builds will be very explicitly notated, so you don't have to worry about getting the wrong one. However, if you're not far along with your save, haven't tried the game yet or are even considering starting over from scratch with new decisions and a new build, you'll definitely want to pick up version 0.73.1. 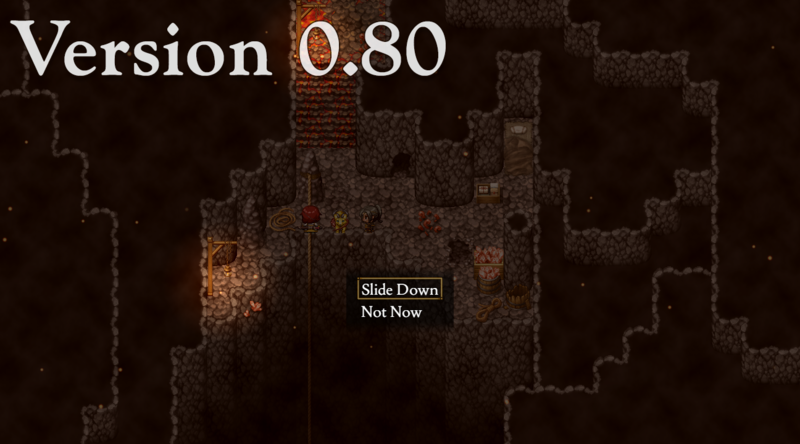 The final consideration is that at some point down the line, the old save compatible versions will stop. It's simply too much work preparing two very different builds every week, but I didn't want to cut everyone off cold turkey. That just seemed rude. My current approximate deadline for that is with the public launch of chapter 7, which is still many weeks away. New to the game? Check us out at https://www.patreon.com/indoorminotaur! Happy release day, everyone! 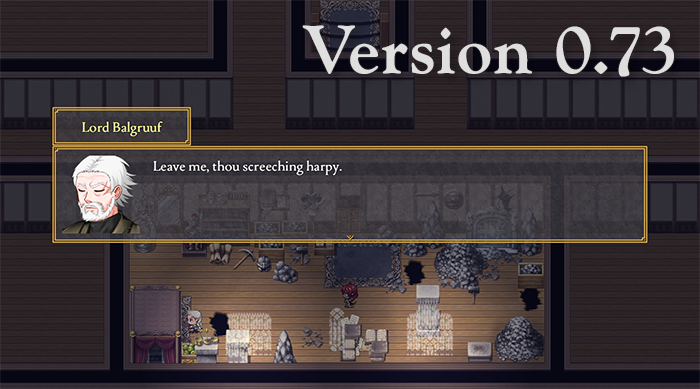 Same as last week, it's split between two builds (to continue for a little while longer): one that is compatible with ALL old saves, and one that requires a v0.73 save or newer. 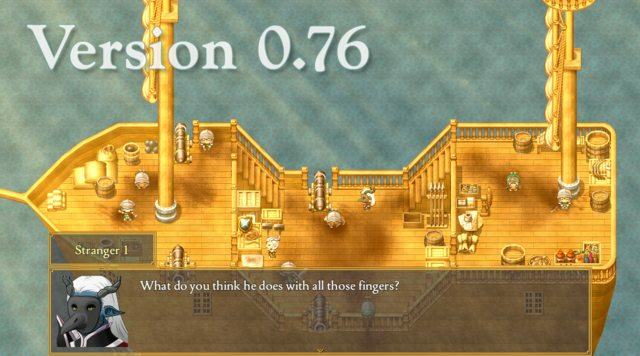 The old save compatible versions will be phased out eventually--probably once I wrap chapter 7 up and make it public. I wish there was a way around this, but alas. I'll make sure to ease the pain somehow. New to the game? You can find it here: https://www.patreon.com/indoorminotaur! As for what's new, the notes are listed below. Here's last week's patch notes - sorry for the delay! New Release: Version (Fallout/Soldier) 0.76! Hi, everyone! This week's build, version 0.76, is the patron release of what will eventually become the next public build, which means it's not far off! This ALSO means the save compatible grace period is approaching its gruesome end. 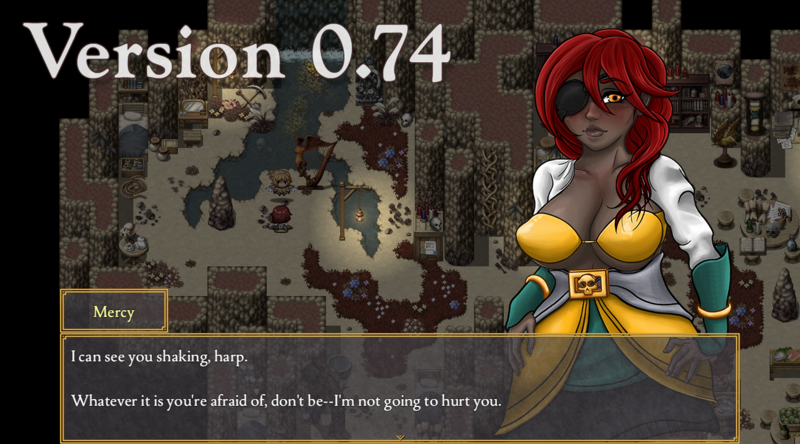 I expect support for old save files will end around after version 0.78, so apologies in advance for that. New to the game? Become a patron or try our free public build at https://www.patreon.com/indoorminotaur. Revised and added to a number of scene illustrations! Major Updates: New Public Chapter! It's been a long time coming, and it's finally arrived. Please enjoy the latest chapter of Daughter of Essence in its entirety, featuring not only a wealth of new content, but dozens of other improvements, quality of life changes, and bug fixes! Little by little, we are getting closer to the end, my friends. I hope you're enjoying the ride. Want to try the all new public build? Visit https://www.patreon.com/indoorminotaur! Hi everyone, we're back with another weekly release. This has been a very polish and maintenance-heavy week on account of the fresh public release and all the feedback we've received, but we still managed to get some new content developed along the way. In the not so distant future, there will be patches available for both the public and alpha builds. Until then, the latest weekly notes can be found below. New to the game? Want to try the public build? Want to become a patron? Visit https://www.patreon.com/indoorminotaur! 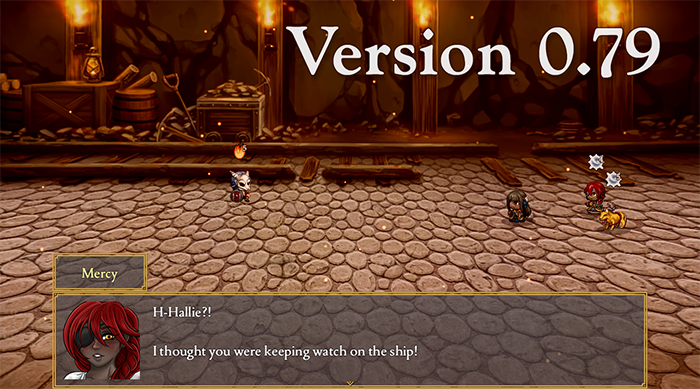 This week's release is the start of our new "dragonbones" implementation, which is a system whereby we can start to animate some of our larger boss fights with a lot more flexibility. This creates much more lively encounters, and it also tends to save file space compared to the old sprite sheet method of animation. It's a slow process and it requires a lot of learning new things, but so far I'd say it's already paying off. Beyond that, the new Hawk's Keep area has expanded quite a bit this week, and there is a huge pile of other bug-fixes and QoL improvements we've knocked out again. This has been a productive week, as it turns out.